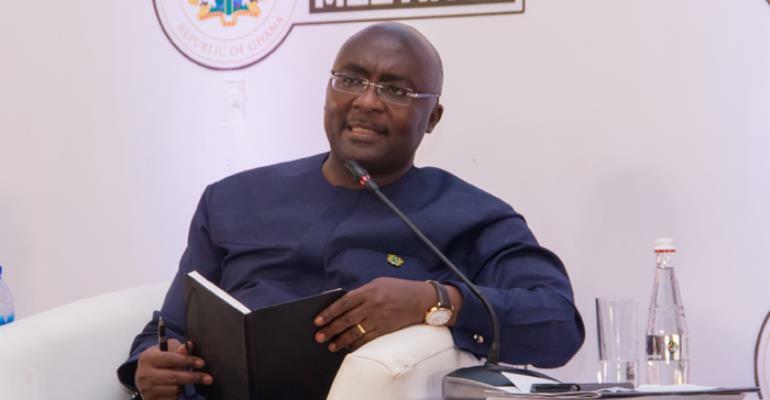 We did not expect the ever-sulking National Democratic Congress (NDC) to clap for Vice President Mahamudu Bawumia for his wonderful performance last Wednesday, as he led the Economic Management Team (EMT) to host a town hall meeting. It was about a sterling performance and good tidings for Ghanaians in terms of the announcement of reduced import duties on selected stuff. The resultant dividends in terms of job generation and security are enormous which is why the EMT and the government must be saluted for their exceptional performance. All we were interested in was how frustrated NDC would articulate their mendacious remarks after the Vice President's delivery. We were anxious to find out whether the level of their mediocrity has witnessed a reduction since they were confined to the status of opposition by Ghanaians. Not so though; reading the garbage they have put out since the engagement with Ghanaians, as it were, and the important announcements contained therein, we are constrained to conclude that the NDC would remain a party averse to truthfulness but in love with lies and propaganda. Let them take it or leave it, the fact remains that no government comes near the present one in tackling head-on the challenges of managing the economy. Given the level of decay which greeted the newly installed government when they assumed the reins of power and what quantity of repair work has been accomplished within a spate of a little over two years, members of the EMT, with the Vice President leading the charge, deserve plaudits from all of us, with Ghana at heart for an assignment well executed. In spite of the negative fallouts of the bad governance the country endured under the previous administration, President Akufo-Addo and his team have been able to mitigate the pain created by the measures rolled out to reverse the bad effects of bad governance through an assortment of measures. We are gradually relegating the rot created by bad governance and open thievery of the public purse including reckless governance practices, to the chapters of local history, as government ushers in a new dawn of visible progress. Those who do not see and appreciate these must be in a slumber and must be woken up to relish the new Ghana. Dr. Bawumia spoke to Ghanaians about the state of the economy with the confidence of a man who is firmly holding the grip of his horse on the racing track. The feats recorded could not have been possible but for the steadiness and unwavering focus of an EMT whose Chairman – Dr. Mahamudu Bawumia – knows his onions and does not get lost in the largely cacophonous political terrain, where the mischief of the opposition is intended to slow down progress of government. A bright light now glitters in the tunnel which in previous times was enveloped in darkness where hope could only be imagined.